"Voyager-1 will be in orbit around the center of our galaxy with all its stars for billions of years," said Ed Stone, NASA's chief scientist on the Voyager Mission. If you tried to start a car that's been sitting in a garage for decades, you might not expect the engine to respond. But a set of thrusters aboard the Voyager 1 spacecraft successfully fired up Wednesday after 37 years without use. 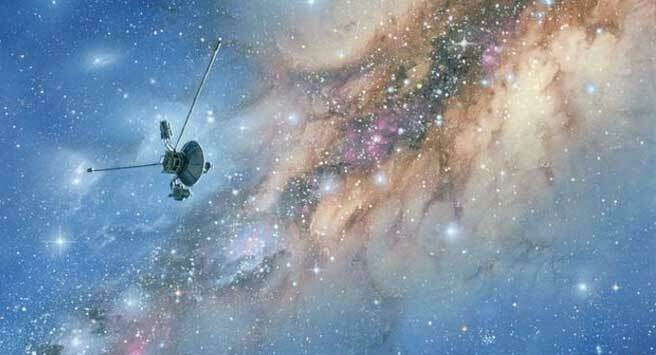 Voyager 1, NASA's farthest and fastest spacecraft, is the only human-made object in interstellar space, the environment between the stars. The spacecraft, which has been flying for 40 years, relies on small devices called thrusters to orient itself so it can communicate with Earth. These thrusters fire in tiny pulses, or "puffs," lasting mere milliseconds, to subtly rotate the spacecraft so that its antenna points at our planet. Now, the Voyager team is able to use a set of four backup thrusters, dormant since 1980. In the early days of the mission, Voyager 1 flew by Jupiter, Saturn, and important moons of each. To accurately fly by and point the spacecraft's instruments at a smorgasbord of targets, engineers used "trajectory correction maneuver," or TCM, thrusters that are identical in size and functionality to the attitude control thrusters, and are located on the back side of the spacecraft. But because Voyager 1's last planetary encounter was Saturn, the Voyager team hadn't needed to use the TCM thrusters since November 8, 1980. Back then, the TCM thrusters were used in a more continuous firing mode; they had never been used in the brief bursts necessary to orient the spacecraft.